SCHWALBE Marathon Winter :: £35.00 :: Parts & Accessories :: Tyres - Touring :: Spa Cycles, Harrogate - The touring cyclists specialist. 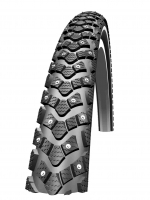 Please note Schwalbe advise that these tyres should be ridden for 25 miles on a hard road surface to 'bed in' the spikes before use in icy conditions. Hard acceleration or braking should be avoided during this bedding in period. That's 40% / £23.99 below MSSP! 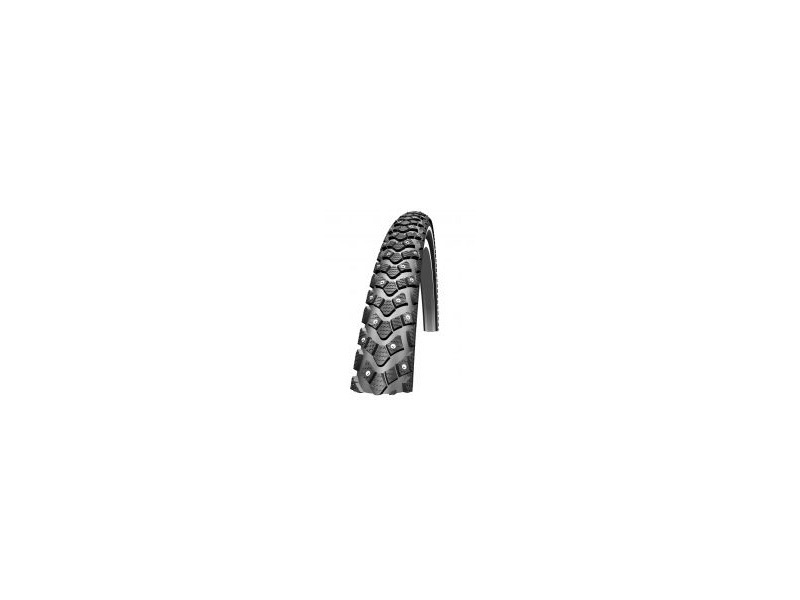 You have full control on icy roads with this tyre. Even in tight bends and under violent braking everything remains under control. The spikes work best on ice when running at minimum pressure, whilst at maximum pressure the tyres can be ridden on ice-free roads with minimal road noise.